Alganon contest - Win 10 copies! MMORPGate.com and Quest Online have teamed up to offer our readers the opportunity to win one of 10 copies of the fantasy MMORPG Alganon! 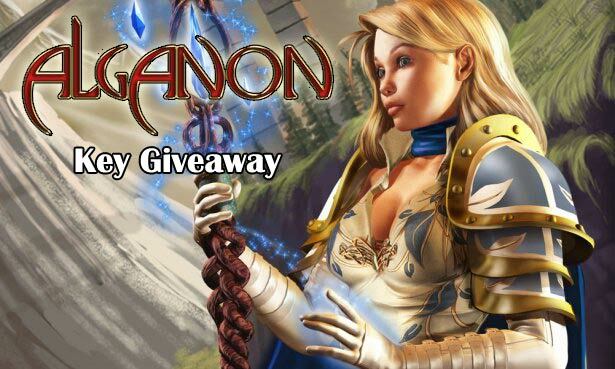 To win one of the keys that will give you access to the full digital version of Alganon, all you have to do is answer one simple question. The winners will be selected from the list of correct answers. - Which classes are available in Alganon? The contest ends April 9th, 2010, and the decision of MMORPG Gate is final. Send you answers to mmorpgate@gmail.com with the subject 'Alganon'. Alganon is a fantasy-based MMORPG that allows thousands of people to play together in a virtual world that features a rich history dominated by commanding deities, powerful weapons and armor, deadly magic, epic quests, ancient places to discover, the utilization of detailed tradeskills, and more. Designed from scratch and based in a uniquely created world, the initial goal in designing Alganon is to provide "Simple Gameplay with Unlimited Growth in a massive world of immersion and interaction". To learn more about Alganon visit the official website and our game page.